Amanohashidate is located in the northern part of Kyoto. A sandy stretch where pine trees grow thickly, connecting the shore to the other side like a bridge in an unique shape, it is said to be one of the three scenic spots of Japan. If you were to visit, let’s stay somewhere we could have a splendid view. We’re introducing hotels which have hot spring and seafood meals which satisfies you to your heart’s content. 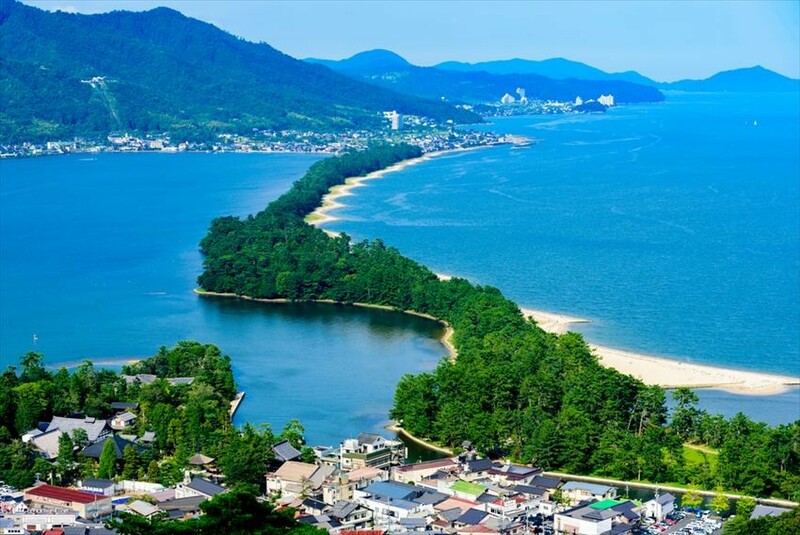 Amanohashidate Hotel is perfect for enjoying the beautiful scenery of "Amanohashidate" at a highly accessible location, only 1 minute on foot from the station. Relax in the ocean-view room while you submerge inside the hot spring. You can view the scenery of the changing seasons from window. In addition, the hotel also have beautiful public baths with mythical stories pictured on the walls of open-air baths that can overlook Amanohashidate. There is a large public bath, outdoor bath, sauna, steam bath and more, so you can comfortably recuperate. In the courtyard of the hotel, there is a footbath. You can enjoy the scenery of Amanohashidate slowly by while soaking your feet in tub. As for the rooms, you can pick from Japanese-style rooms or Western rooms, or the deluxe suites which are connected to the open air baths. From there, you slowly savour the sight of Amanohashidate comfortably as long as you like. As for meals, serve dishes using natural and rich seasonal ingredients from the Tango province. Dining while gazing at the Amanohashidate is recommended. In addition to Japanese cuisine, you can also enjoy French at the adjacent restaurant. Access: From Kyoto Station, Take the JR line to Yamakei. Exchange the train line at the Kyoto Tango Railway, and get down at the Amanohashidate station. The hotel is one minute walk away. Monjusou is built near Amanohashidate. Their most charming point is that from all of the hotel rooms, you can see the Amanohashidate Canal and pine trees. Since Amanohashidate is within walking distance of Chionji, Oamabashi Kaisen Bridge and Amanohashidate View Land, it’s superb for accessing many famous places. Of course, it is the same for meals. 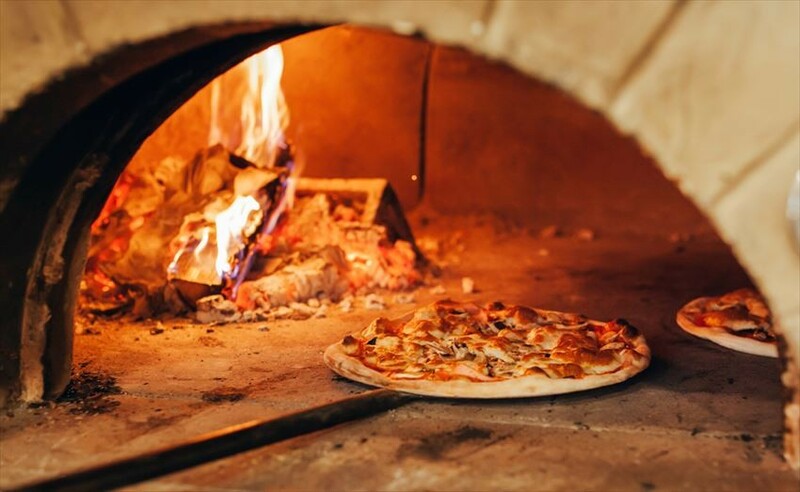 At the stone kiln restaurant "MON", you can have pizzas of Kyoto vegetables and seafood dishes at the open kitchen. These dishes are cooked on a stone kiln that could heat up to 500 ° C in a moment, producing a texture that’s well-cooked on the outside, fluffy on the inside. Eating these dishes while viewing the canal is amazing. Access: From Kyoto Station, Take the JR line towards Yamakei. Exchange line at the Kyoto Tango Railway, and get down at the Amanohashidate station. The hotel is four minute walk away. "Taikyourou" is an inn within walking distance from Amanohashidate. The famous Japanese poet Akiko Yosano once visited this inn. Generally, rooms are Japanese-style rooms with tatami flooring. 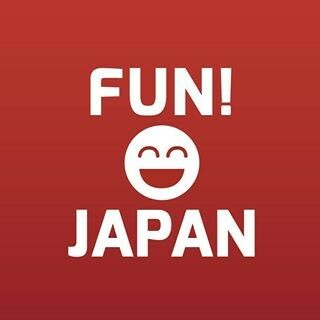 You can soak in the atmosphere of Japan here. From any of these rooms, you can see a beautiful Japanese garden. 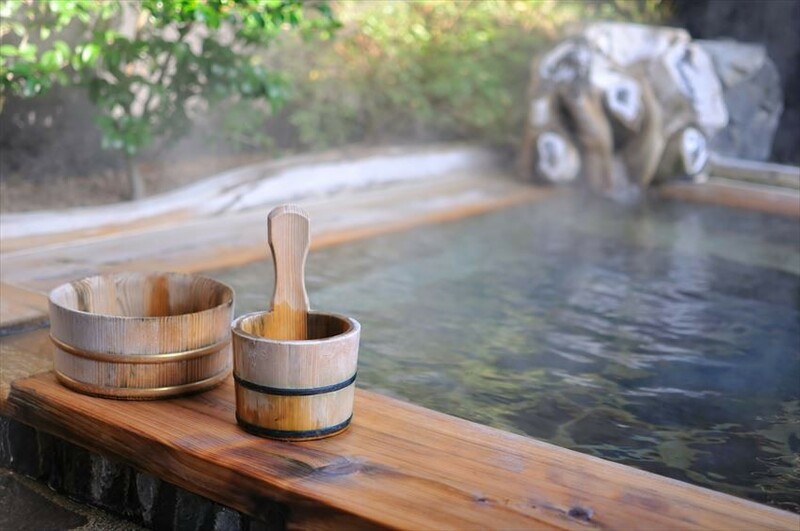 The abundance of hot springs is also a distinct characteristic of "Taikyourou”. There are three baths, "Fisherman's steam bath", "barrel" and "Japanese Cypress", which are the bath areas for women, while the baths for men are the "rock bath" and an "open-air bath" along the Amanohashidate Canal, an open-air bath made with driftwood. 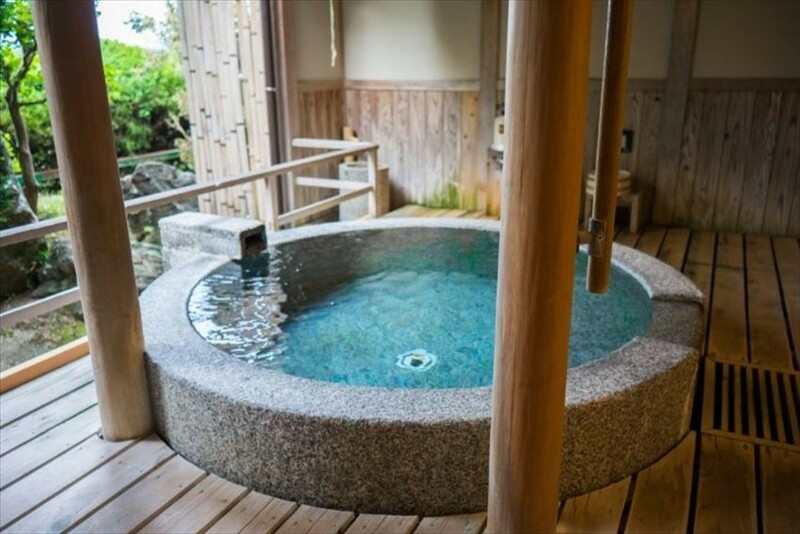 You can spend your time leisurely at Amanohashidate in these bath famous for its ability to beautify your skin.